‘I recently had a channelling with Min and was gifted a base chakra activation to help balance masculine and feminine energies. During the activation it was a gentle and very connecting experience. During the night I woke up with an intense feeling bordering on pain in the area of my base chakra and I was awake for about an hour allowing this feeling to pass. Although I was initially concerned I knew that this was part of the activation and to just allow it to happen. Eventually I fell back to sleep and in the morning I was not tired and felt much lighter. To be up to date with Jennifer’s Spirit Empowered Seminars please visit our Workshop Page. The following services are available in person on the Gold Coast, Australia or via Skype anywhere in the world and are also available on their interstate and overseas tours. Please supply your own mobile or other recording device for this session. 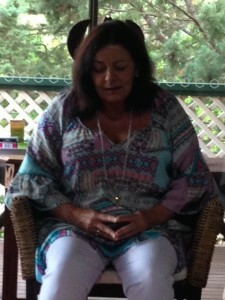 I invite you to experience the extraordinary love,wisdom and accuracy of my spiritual guide MIN. MIN is a very tangible experience and many have had spontaneous healing and life changing awakenings during their session with him and the depth of information and guidance you receive in a personal transmission with MIN is second to none! People are astounded at what he can reveal to them about their deepest concerns and how simply he puts everything into harmony and perspective for them. Email your question to us and our very gifted Psychic & Spiritual Counsellor Jennifer Starlight, will answer your question within 72 hours (please include your full birthdate). Simply order through our shop! In combining their talents, Jennifer & Peter have created a powerful and life changing experience for their clients. Between them they get to the very core of the most difficult issues by addressing what has been denied or repressed in both the subconscious mind and the soul. Their professional experience and authentic love & compassion for your journey guarantees a very liberating and long lasting transformation. 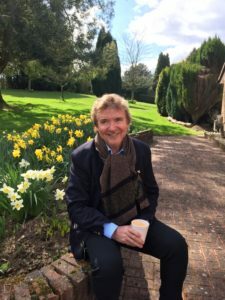 A session of Theta Healing with Peter allows the clearing of deeply held subconscious & sabotaging belief patterns which then creates profound and lasting changes. Set yourself free from the fears and doubts in your mind once and for all. Learn to powerfully create the life that is in alignment with your Soul .